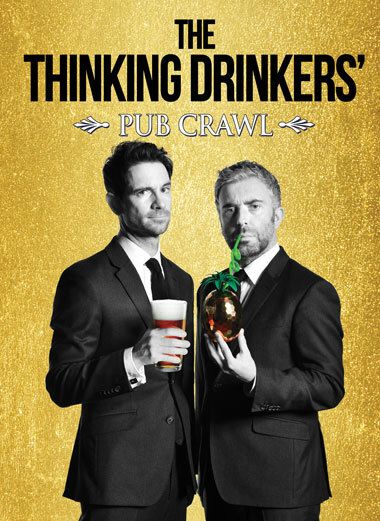 After seven years of sell-out shows, The Thinking Drinkers return with a brand new, hilarious, intoxicating bar-hop through history. Enjoy five free drinks as the award-winning experts take you from the symposiums of Ancient Greece to the classic British boozer via Wild West saloons, Victorian gin palaces and the secret Speakeasy. You’ll learn a lot, you’ll laugh a lot and, don’t forget, you get five free drinks. "Pioneers of alcohol based comedy"
"A terrific show. The best value for money in town"